These basic realities, as presented above, do not seem to be very inflammatory in nature and could describe many such unfortunate events that occur in this country in any given year. However, when I include just two additional items (Zimmerman is Hispanic--he has a white father and a Peruvian mother--and Martin was African-American), the invective and rhetoric surrounding this case is now increased to a roiling boil. A portion of motivational speaker Marlon Shackleford, Jr.'s performance of "Where are the Children?" 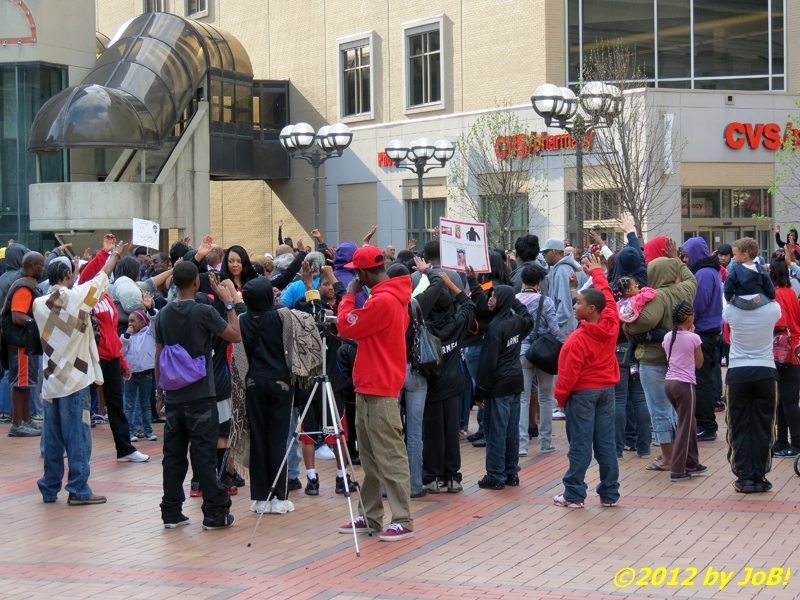 at the April 1 'hoodie' rally. 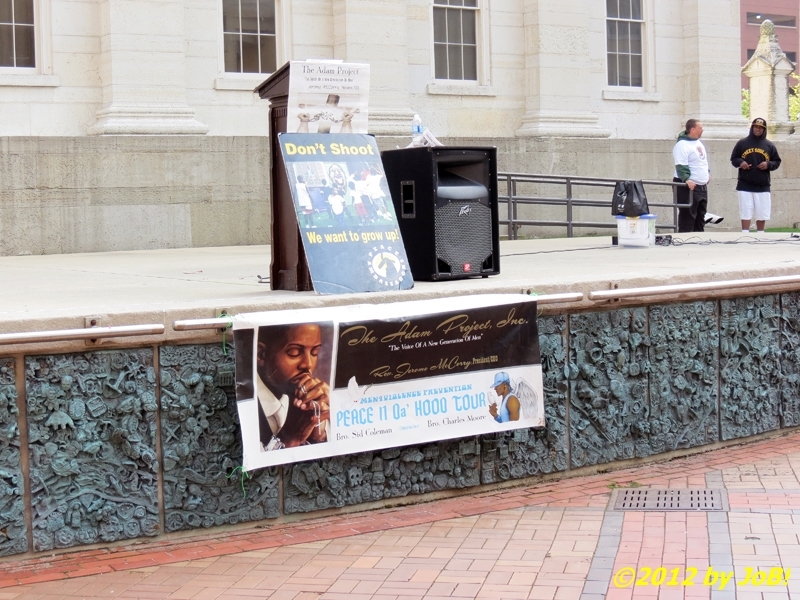 Such was the situation at the Dayton rally where between 200 and 300 people--mostly African-Americans--came together to show their support for Martin's family and to highlight similar perceived injustices in the local community in recent months. Many of the attendees donned hooded sweatshirts and jackets in a visible sign of solidarity for Martin, who was wearing this particular outer garment on the night that he was shot and killed. Posters, t-shirts and even packs of Skittles candies and Arizona Iced Tea cans served as props and makeshift memorials to the slain teenager (Martin was reportedly carrying those last two items back to his father's girlfriend's residence after purchasing them at a local convenience store). 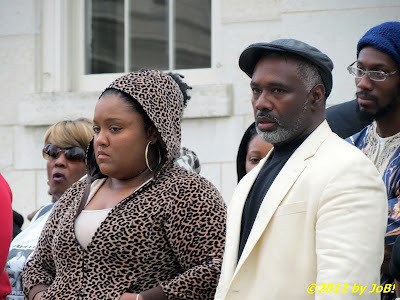 Impassioned pleas by community activists, clergy and parents for justice and community unity dominated the rally's remarks. 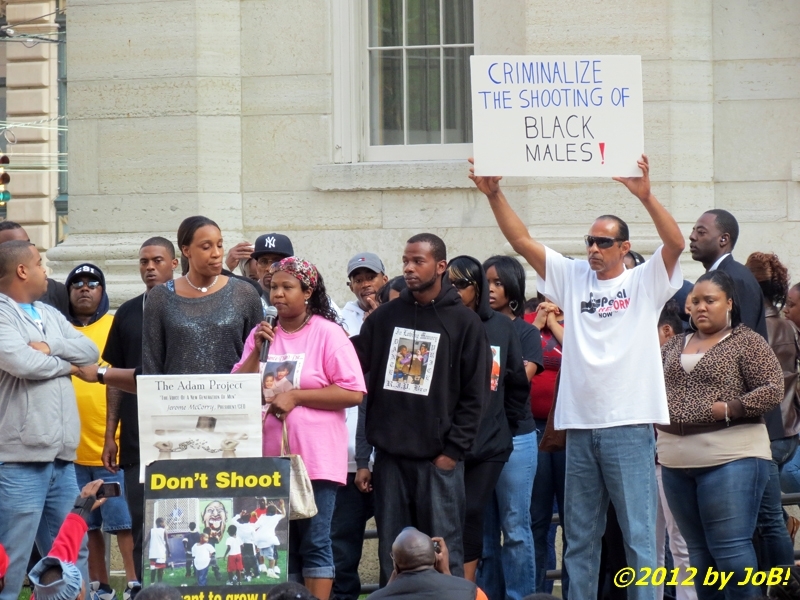 A sign held up on stage behind the speakers helped to reinforce the racial theme into the rally's overall message. 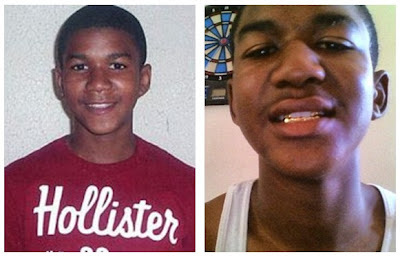 As seen in the larger media circles, imagery used with this case skewed toward depicting Zimmerman in a negative light (using a mugshot from a 2005 arrest on resisting arrest with violence and battery on an officer instead of a more recent photo) and Martin in a more positive way (television B-roll footage shows pictures of him in his early teens instead of how he looked recently) which has led some to make claims of undue influence in this case by news and opinion journalists. Those same photos were seen in and around Courthouse Square for Martin and similar 'positive' ones were used for local violence victims Kylen English and Dante Price. Photos on the left side (above) show how imagery (and possible overt manipulation) was used in this particular case. 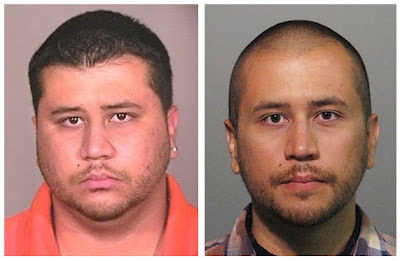 The photo most used for Zimmerman (top) has been a mug shot from a 2005 arrest while one of the many used for Martin (bottom) is from his earlier teen years. The right side photos are more recent (Zimmerman's is his mug shot from this week while Martin's is believed to have been taken within the last year). Before I go any further, I am NOT stating that the 'hoodie' rally was racist. 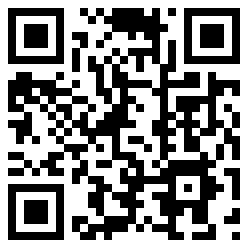 To simply mention or address actions or issues that are believed to be racist does not make you (or an event) one. I am merely stating that the gathering had very strong racial overtones and ignored the underlying problem with the Martin shooting (a gun law that is tantamount to a legal license to hunt down fellow human beings) to instead focus primarily on the tangential issues (ethnicity and racial background) that I added to my original facts above and the overall subject of racial injustice in our current society. To be fair, that is what was advertised and the speakers maintained a laser-like focus on those subjects with a sprinkling of politics and religion mixed in for good measure. 2009 (and 2013 hopeful) Dayton mayoral candidate Larry Ealey (front right) appeared onstage with other community leaders at the 'hoodie' rally. As one of the few non-African-Americans in attendance, I initially felt out of place. During my military career, I have been in similar situations where I was a very small minority among the surrounding throngs in overseas locations (and even in some here in this country). 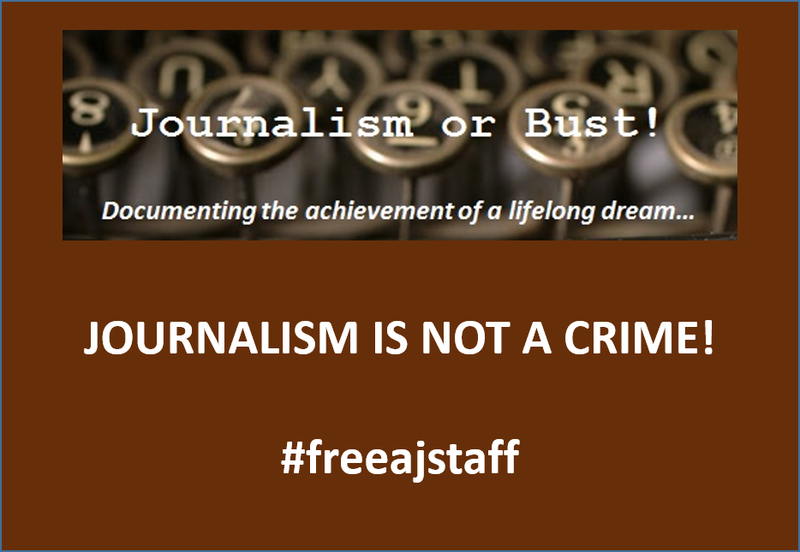 While I did share some empathy with those gathered, I deliberately chose to embrace a journalistic impartiality and not be caught up in the events I was there to cover. I did not wear a 'hoodie' and I openly displayed my homemade 'press badge' to visually indicate my status. Shortly after I arrived at the location, I was greeted by Reverend Jerome McCorry, the event organizer, and had the opportunity to interview him after the program ended to get his initial reaction to what had transpired. Others in the crowd showed similar hospitality to me and others from outside of their community and we all responded in kind. Members of the crowd show their concern for an unidentified person who fell ill during the 'hoodie' rally. I wandered through the crowd before the rally started and had the chance to interview two young men close in age to Martin to ask them why they were there. I was able to identify several members of the local television media in attendance. WDTN's Anthony Kiekow and WKEF/WRGT's Chelby Kosto provided live reporting for their respective channel's newscasts Saturday evening and, surprisingly, ratings leader WHIO-TV relied upon its fellow Cox Media partner, the Dayton Daily News, to cover the event for their website (their newscast that evening featured footage of a protest in Indiana instead). I also had the opportunity to talk with several still photographers (one for the Dayton Daily News and two who freelance for the Dayton Weekly News) and trade business cards. As diligent as I am to stay out of the story myself, I did see two online locations that caught me on film/video footage. Almost all of the local television news outlets were on hand to cover the rally. As a resident of a nearby suburban community with a 4-to-1 ratio of whites to blacks, many events or issues in that jurisdiction do not revolve around race. In contrast, the ratio in Dayton is nearly 1-to-1 and the city hosts the largest concentration of African-Americans in the west central Ohio area. Up until now, I've stayed in my 'comfort zone' to cover events in communities/constituencies that I'm familiar with. The 'hoodie' rally forced me to step outside of that 'bubble' and broaden my exposure to issues not necessarily within my 'circle of concern' but definitely inside my duties as a journalist of reporting on things that some might find uncomfortable—or potentially hazardous--to address in public. To paraphrase South Park’s Stan Marsh, I think I learned a valuable lesson on that day and one that I hope will be incorporated into all of my future assignments.